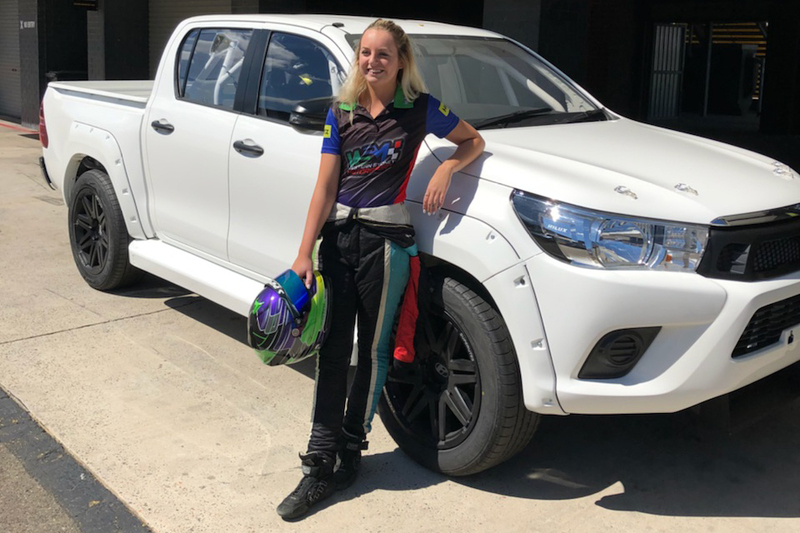 ECB SuperUtes Series debutant Charlotte Poynting has completed her maiden test in the Toyota Hilux she'll race at Bathurst this weekend. Poynting enters the series in a fourth Hilux with Western Sydney Motorsport, as team-mate to points leader Craig Woods. 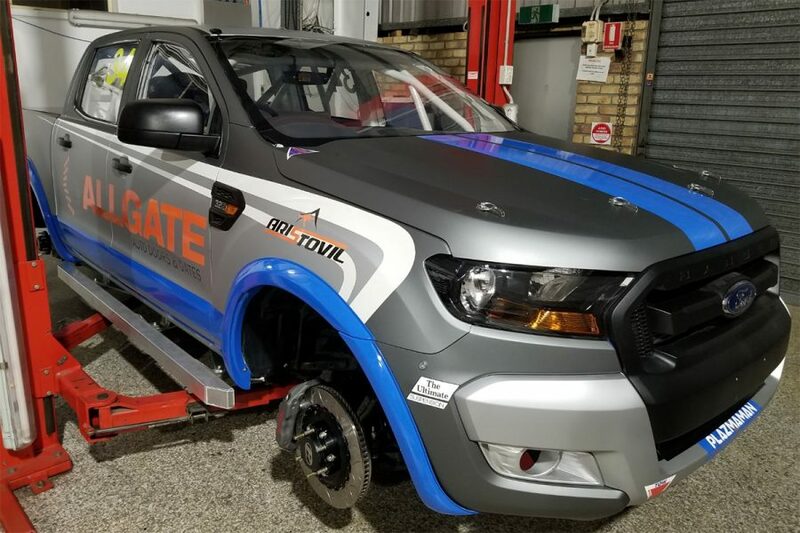 The new Hilux was built by Sieders Racing Team, which prepares WSM's entries, Luke Sieders finishing the build in time for the Mount Panorama event. An Aussie Racing Cars driver with WSM, 19-year-old Poynting completed her maiden test at Sydney Motorsport Park on Monday. "The shakedown was perfect, there was nothing wrong with the car at all," team owner Craig Thompson told Supercars.com. "It was absolutely perfect and [Sieders] did a pretty outstanding job to get it ready a week before Bathurst. "[Poynting] did about 50 laps of the short track at Eastern Creek, she was really focusing on the handling of the car and the brake pressures required. "It was a good valuable session for her, she was pushing the car quite hard towards the end of the day and she's quite confident she'll be able to do quite well at Bathurst. "She ticked all the boxes that we required of her to do and the car was faultless, it ran perfectly and it was very strong, I couldn't have been happier." Bathurst is followed by the Gold Coast and Newcastle on the calendar for the maiden SuperUtes Series. Poynting will skip the Gold Coast, which is also hosting the final Aussie Racing Cars round, with a driver for the Hilux to be confirmed. Her SuperUtes debut starts with practice at 8:15am on Thursday, as part of the Supercheap Auto Bathurst 1000. "I wasn't surprised that she picked it up, because I've been racing side-by-side with her in the Aussie Cars for the past 18 months, so I was aware of her skill set," Thompson added. "She is all ears and she is listening to everything that Luke is telling her about the requirements of how to get the car to move around the track as fast as possible. "She will obviously develop over the weekend, she's got the two practice sessions, qualifying and three races, so we would expect her to be doing her best work on Saturday." A second Ford Ranger will also join the SuperUtes grid this weekend, through Ranger Racing. In a late change of plans, though, Chelsea De Angelo will not be behind the wheel due to what the team calls "unforeseen personal commitments". Matthew Nolan takes her place, and was part of its shakedown at Norwell in Queensland on Sunday. "It's unfortunate we won't be able to see Chelsea on the track but we're excited to have Matt onboard, he's a great addition to the team," team owner Michael Formosa said. "We actually had him involved in the testing of our first build and he has a lot of experience racing Utes so we're hoping to use that to our advantage." Last year's V8 Ute champion, Kim Jane takes this weekend's tally of SuperUtes debutants to three. Jane will race Steve Wilson's Isuzu D-MAX at Mount Panorama. Woods holds a 19-point SuperUtes Series lead over Mazda driver Ryal Harris after five rounds.